Cat owners know that sometimes, accidentally, kitties can give you tiny little scratches or bite marks. 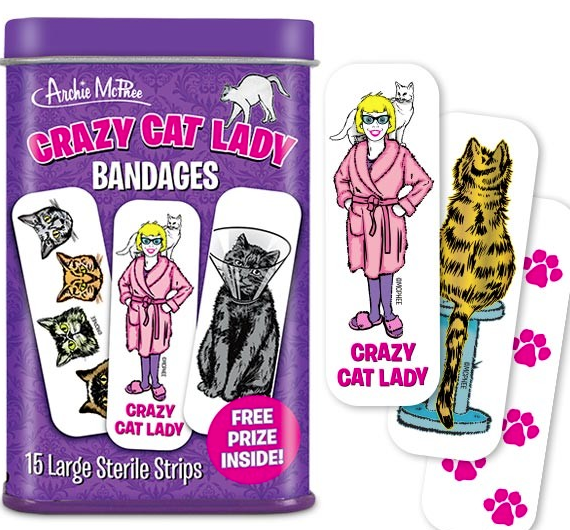 These Crazy Cat Lady Bandages not only cover them up, but advertise how much you love your cats with an assortment of fantastic feline imagery. 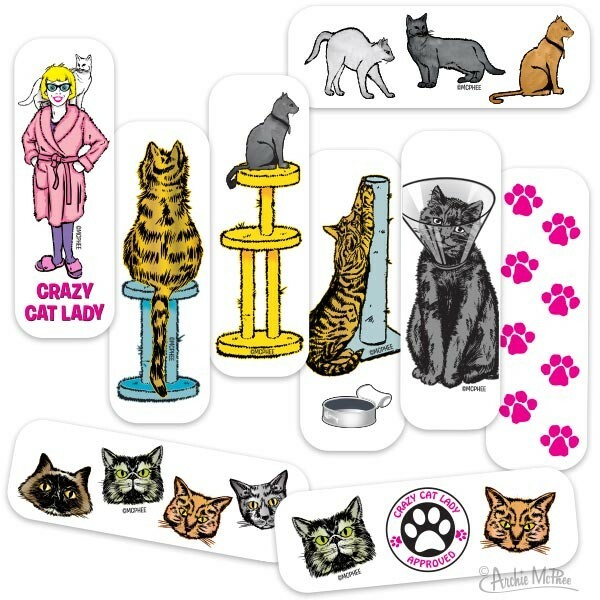 Feature: - There are 15 large sterile strips, 3" x 1" (76mm x 25mm), that come in a 3-3/4" (9.5 cm) tall metal tin.